I was only able to hear these words, spoken by the man who I’d interviewed just six weeks earlier as he teased the audience after playfully pausing during the opening to My New World, because I was standing less than five metres from where he was, perched high behind his rack of keyboards. Though a full half hour into their concert, this was only the second song of the set, but many of our readers will know that this is a common, nay, obligatory state of affairs when it comes to a Transatlantic gig. We’d already witnessed an incredible performance from the fivesome, which to our surprise contained the remarkably capable Ted Leonard of Spock’s Beard, who was continuing to stand in Daniel Gildenlöw’s place. Opening with their new track Into the Blue, we found the band in high spirits and eager to perform in what I believe to be their favourite venue. They like it so much that they’re playing it twice! I had been elected to receive a prestigious Photo Pass, allowing me to come between the audience and the stage despite my lack of photographic training. This would enable me to get closer than ever to the musicians I adored, so when I found out that I’d only be allowed to use this privilege for the first ten minutes of the concert, it didn’t seem unfair at all. As the band began playing, I began snapping, but it was difficult not to be overcome by the music. For a while, I didn’t take any photos at all; while others were readjusting their lenses, I was rocking hard! A beautiful but tragic moment came to pass in those first ten minutes. While I was free to roam to get the best possible angles of the guys, I’d chosen to stay close to drummer Mike Portnoy, a musical icon of mine, for as long as I could. Incredibly, as I moved around the stage, I could hear each of the instruments with varying levels of intensity; it was quite a magical experience, especially when I was able to hear the sound of Portnoy’s drums directly in front of me, not filtered through an amp. Suddenly, while hitting a cymbal, his drumstick broke clean in half. As he reached to replace it, I followed the stick as it gracefully arched through the air towards the edge of the stage, as if in slow motion. It landed only a few metres from where I was standing, but the backspin caused the stick to roll backwards away from the edge, making retrieval impossible. Crazy thoughts like pleading Pete Trewavas to kick the stick over to me raced through my mind, but in the end I settled on taking photos of the errant half-stick. It was a fantastic concert, and the band kept the audience entertained throughout. 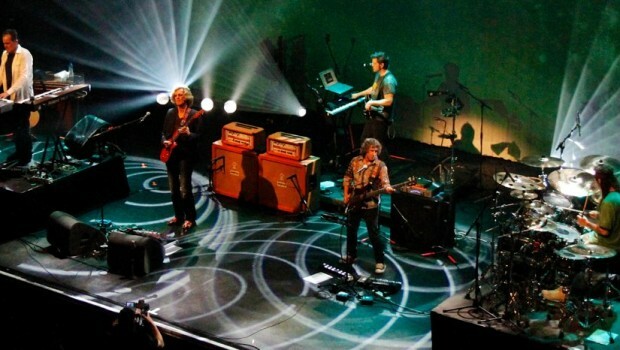 Naturally, the band featured material mainly drawn from their latest album Kaleidoscope; in the end, only Beyond the Sun, the album’s weakest track, went unsung. Perhaps the strangest item of the set was a heavily chopped The Whirlwind, which still managed to last nearly half an hour. The band would mainly skip over the good bits, such as the fantastic overture, leading to confusion amongst the audience. Having already witnessed the full thing live, I would have much preferred to see All of the Above, or indeed any of the band’s other thirty-minute opuses in its place. The band themselves were on top form, giving all they had to offer. I was able to note, however, just how the performances varied from musician to musician. As stunning as his guitar playing was, Roine would mainly keep to himself, too immersed in the music to fully acknowledge the audience. 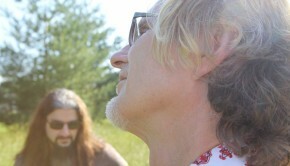 The Americans, Morse and Portnoy, on the other hand thrived on audience reactions and participation. Naturally, eyes were often drawn to Portnoy, the most energetic and visual member of the group thrashing away on the drums. Fortunately, his relatively small kit – it was huge, but this is Portnoy we’re talking about – had been set up so everybody in the room could see what he was doing, making his drumming much more accessible. Since he knew that people would often be watching him, he took on the role of the comic relief, often performing actions and gestures whilst simultaneously playing. This included elaborate methods of throwing his stick in the air, pretending to act as a conductor and even throwing his china cymbal across the stage. However, the funniest moment of the night didn’t come from Portnoy at all, but from Morse, when he timidly pressed a note on his keyboard and then wore a pretend look of startled surprise when it happened to play the church bell sound he was hoping for. For their encore, Transatlantic decided to bring on a very appropriate special guest: Holland’s own Thijs van Leer, who replaced Morse on keys. 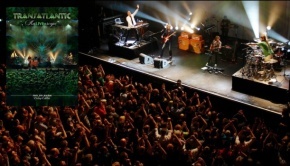 Speaking to an audience member, I learned that Thijs hadn’t been too fully aware of the details of the concert, believing he was playing with a band called ‘Intercontinental’. Close enough. With a stomping rendition of Sylvia under their belt, there was only one track the band could play. Sure enough Hocus Pocus began, with the drum solo sections lending themselves perfectly to Portnoy’s expertise. Cleverly, Thijs van Leer would begin his famous yodelling, but Ted Leonard would sneakily finish the high notes to create an incredible illusion. It had me fooled! It was a night of merriment, and I came away feeling very satisfied by the experience. 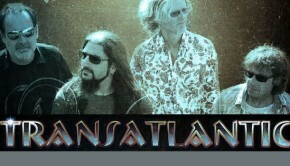 The boys of Transatlantic certainly know how to put on a good show. Looking at the respective setlists, it seems that Friday’s crowd might have had the sweeter deal, with a set that lasted three quarters of an hour longer, but then again, they didn’t get Thijs van Leer! iv) Is It Really Happening? 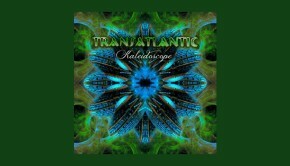 On the second night at Tilburg 013, Transatlantic were on top form and delivered their longest set of the whole tour. It was another sell-out crowd too, which seemed to consist mostly of hard-core fans with many present not only singing along with every lyric, but also the riffs, melodies and guitar solos too! Of course, when your opening track weighs-in at 25 minutes and still isn’t the longest piece in the set, well, it can get lengthy, and yet for nearly three and a half hour – without intermission!! – the band dished up classic after classic with such energy that everyone was left breathless by the end. Mie Portnoy grabbed the bulk of the limelight, not only with his fine drumming, but he’s very much the master of ceremonies in the band. He was continually trading quips with Neal Morse across the stage and the occasional disparaging comment to-and-from the marvellous Ted Leonard – who has filled (the very much missed Daniel Gildelöw’s) shoes with aplomb. Between, and even during, numbers, Mike chit-chatted with the crowd in a very relaxed manner and I really got the feeling that he had cast off sone of the demons that he seemed to carry in his Dream Theater days; he’s clearly a much happier soul now, at least in this band. In fact this relaxed and jovial manner was apparent through all band members – they were having a lot of fun! 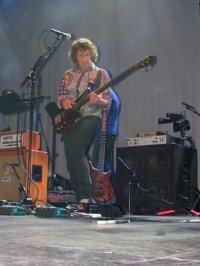 Even Roine Stolt and Pete Trewavas who, it must be said, aren’t the most demonstrative on stage; Roine always concentrating on his playing and Pete likewise absorbed in the musical moment and constantly jiggling about – he’s like the Duracell Bunny, never stops moving. This energy and bonhomie wwas lapped up by the crowd who returned it with interest and we had one of those great gigs where the musicians and audience entered into a temporary symbiosis for the evening, further heightening the experience and pleasure for all. Musically there was little to fault. The whole of the new album, Kaleidoscope, was played in its entirety and, as is often the case, the quirky title track worked much better live than it did on the CD, thus enhancing future listening of that too. We had a selection of pieces from previous albums – the executive summary version of The Whirlwind (very popular with the crowd), half of Duel with the Devil (second encore) and a selection from SMPTe: We All Need Some Light, My New World and the abridged version of All of the Above (also in the second encore). It’s this curtaining of the band’s first ever track that was my only small gripe of the evening. really they should play the full track and skip something else; this was the band’s defining moment and it needs to be fully heard. This was a really storming performance by five musicians who are so on control and comfortable on their chosen instruments, so relaxed with one another. Furthermore, when they come together they seem to become greater than the sum of the parts. This was not lost on the audience who thoroughly enjoyed the show and probably left as tired as I was and with a sore throat the next day from all the singing, shouting and cheering. A really great night, I couldn’t have imagined having more fun at a concert and my pleasure was made all the better by standing next to a couple of young Dutch lads, probably aged around 20, who watched the whole gig with the most massive grins on their faces throughout – fantastic to see the younger generation picking up on this wonderful music we love so much. – Is It Really Happening?